The first baler of its kind to combine both baling and draining out of date beverage containers in one step. The extractpack performs over 7 times faster than draining your containers manually. Liquid control is managed by built-in splash guards that help reduce the mess caused by the total destruction of nearly 2,000 or 4,000 cans. 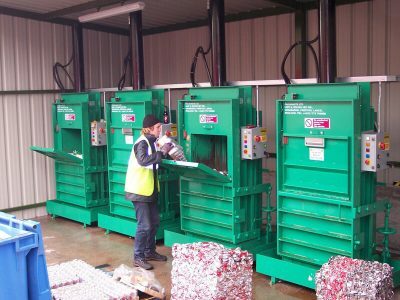 Within the recycling industry, the can baler is a very popular machine for waste handling of cans. When enquiring about this machine, please quote reference R003. For information and details about our very own can baler, please contact our team today.